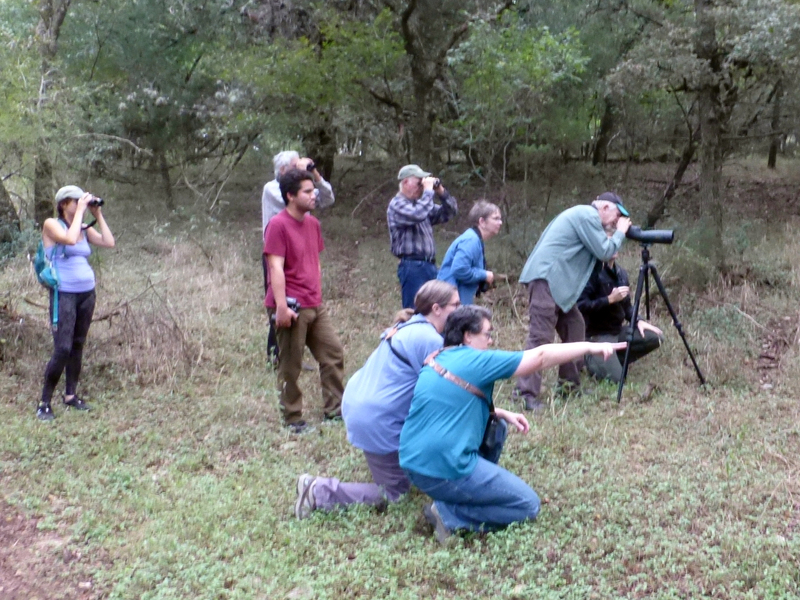 November’s bird walk welcomed 10 hikers on an unusually late and quiet morning at Schulle Canyon Natural Area. 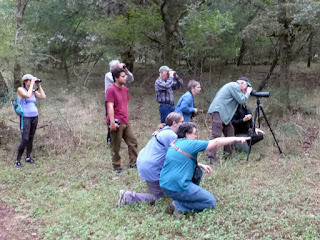 A soundless Hermit Thrush was spotted and tracked down by many eager eyes which uncovered a second individual. These thrush are often found scraping through leaf litter and perching on low hanging branches of the understory. Their colors resemble the year-round wrens but are larger in size, have a speckled breast and noticeable eye ring. The birds were quiet for the majority of the hike but a spurt of activity towards the end produced our winter warblers, the Yellow-rumped and the Orange-crowned Warblers. Also singing was a shy Ruby-crowned Kinglet.